Do not be deceived, these surreal landscapes are found in our beautiful planet. Admiration for lush mountains and crystalline seas is nothing unusual. That’s how magnificent our planet is. But sometimes, Mother Nature conjures up unbelievable attractions that require a second or third look for us to believe. At a massive 10,582 square kilometers, Salar de Uyuni or Salt Flats in Southwest Bolivia is the world’s largest salt flat. What is it, you ask? Imagine a massive desert that’s as flat as a racecourse and contains salt instead of sand. When rain hits, the water drains ever slowly. This creates a mirroring effect where the blue skies seem unending. It’s an incredible sight when the reflection disappears into the horizon. 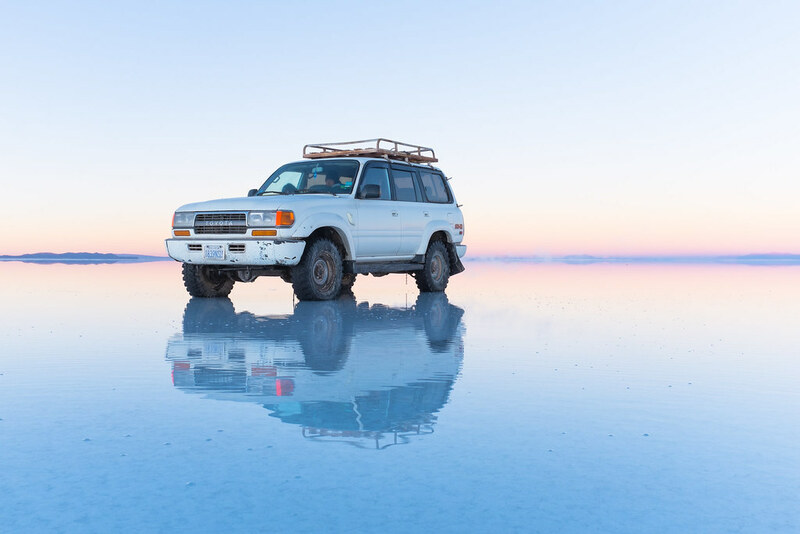 The salt flats of Bolivia produce a mirroring effect of land and sky. The name may sound eerie for some, but perhaps there’s no better way to describe it. Darvaza Gas Crater, better known as the Gates of Hell, measures at around 230 feet in diameter and almost 100 feet in depth. Geologists first found the crater emitting methane gas and increasing it’s size. They’ve decided to fire it up to prevent it from getting wider. The crater has been burning since for over 40 years. Meanwhile, more campers and tourists are visiting each year. 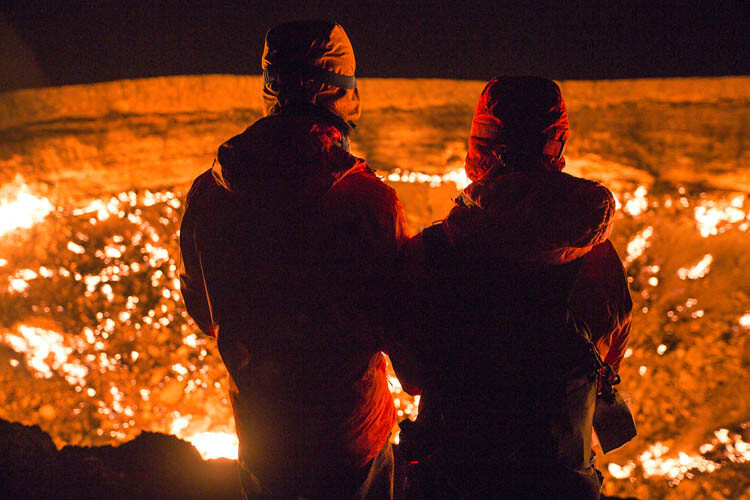 A blazing inferno on Earth, the Darvaza Gas Crater or “Gates of Hell” has been burning for over 40 years. Myth and magic have surrounded the Giant’s Causeway of Northern Ireland. Set along the coast overlooking the Atlantic Ocean, the wondrous causeway consists of over 40,000 geometric-shaped columns, most of which have six sides. As far as scientific explanations go, volcanic eruptions and the basalt rock of the area caused the incredible formations. Whatever reasoning you subscribe to, a little imagination doesn’t hurt. 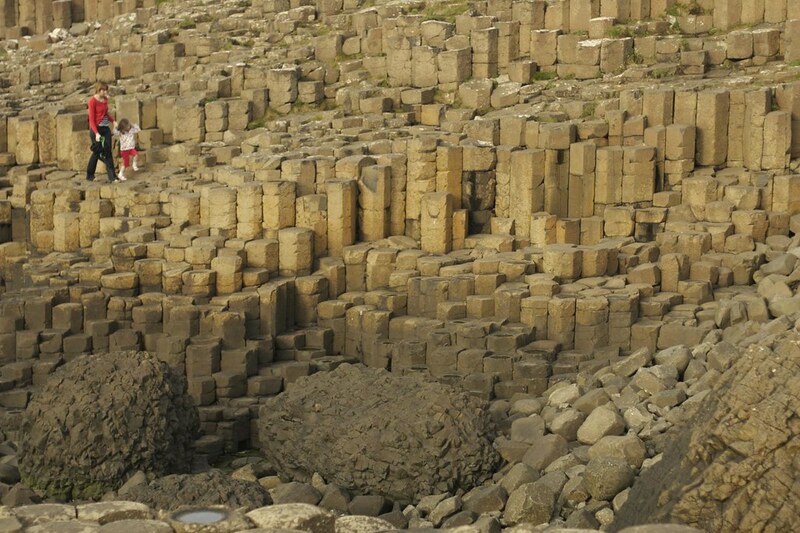 Whoever put the rocks of Giant’s Causeway n place is certainly a fan of puzzles. 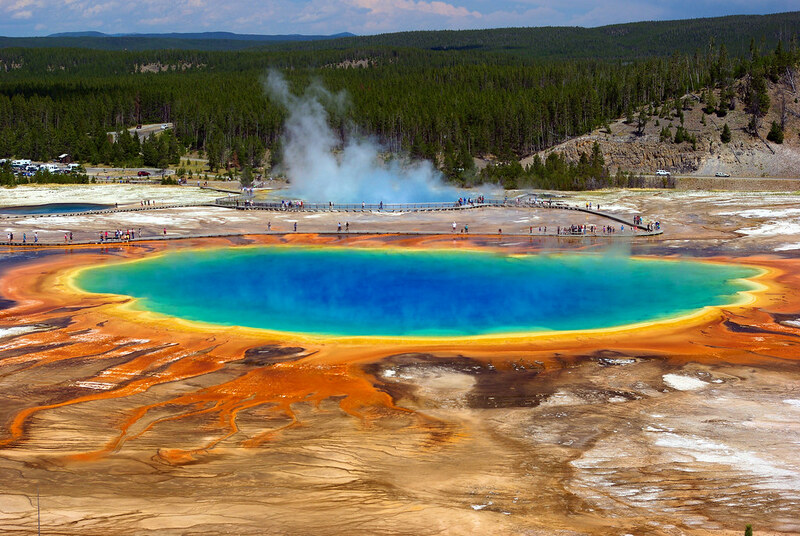 The Grand Prismatic Spring is the second most photographed attraction at the Yellowstone National Park, next to Old Faithful. It has made the covers of various magazines even before ‘shopped’ images became ubiquitous. The changing of its colors largely depend on the season because of the elements that thrive in the temperatures. While it’s one spectacular sight, you should let your eyes feast and nothing else. The boiling waters of the hot spring can melt off flesh. While it’s colours can lure from a distance, the Grand Prismatic Spring is terribly hot up close. A soothing hot spring bath in pink and white terraces—that’s the picture that must stick to your mind when you hear Pamukkale. In Turkish language, Pamukkale means “cotton castle.” It won’t take long until you figure out why. The carbonate minerals naturally formed into pools that collect flowing hot water. These unbelievable terraces of hot springs can be visited year-round, but it’s especially beautiful in wintertime for long, warm baths. 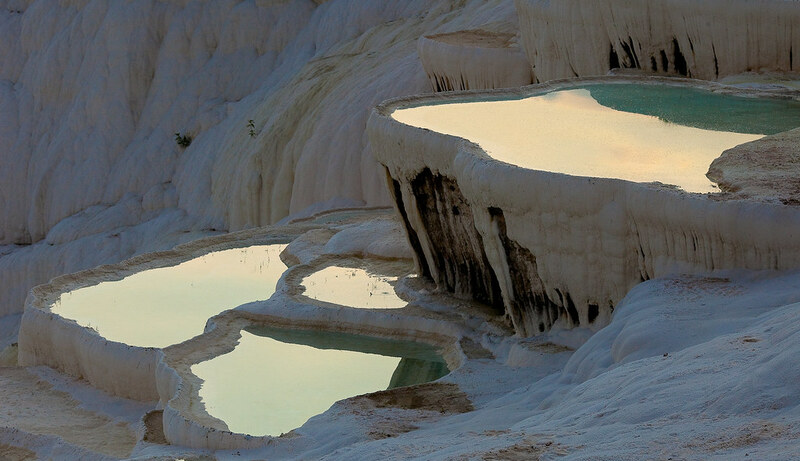 Take a soothing bath in the hot spring of Pamukkale terraces.